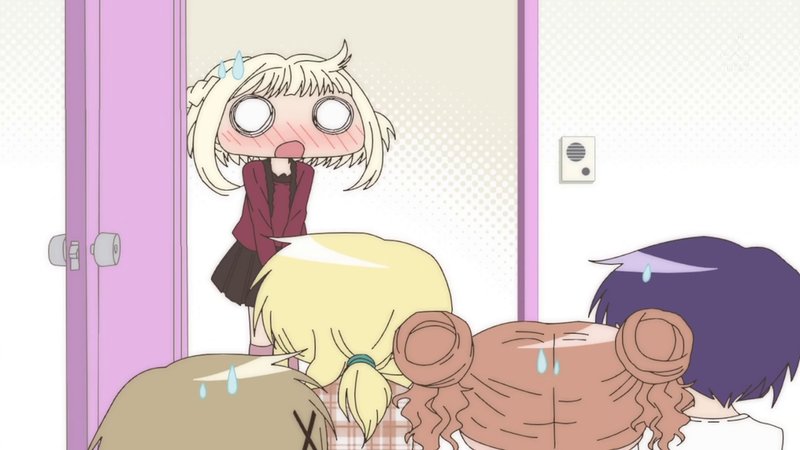 Episode 10 of Hidamari Sketch × ☆☆☆, in which Yuno flushes her keys down a school toilet, and ends up rooming with everyone in the Yamabuki Apartments. This was something that I planned to post about a month ago following SDS’s solid post on Nazuna from Hidamari Sketch × ☆☆☆ on his blog, about how her self-doubt, shyness and passiveness are understandable in her new living situation (suddenly, all alone in a place where everyone else does stuff that she can’t!). In the comment section, someone made a mention in the comments that you could place Yuno in Nazuna’s shoes from when she started at the apartments, and I’d agree with that. But I think what separates the two, and what makes people harp on Nazuna when comparing her to everyone else in the show, is a matter of initiative. Now I knew about Hidamari Sketch × ☆☆☆ when it came out, and I’m eagerly waiting for it to debut soon, which makes it good that I currently have the x365 specials to tide me over, and the fourth volume of the manga coming out soon. But hearing that the show has been licensed in the US puts a lot more pep into my step. Of course I’ll be buying it when it comes out this January (who do you think I am? ), so now I’ll just be waiting with bated breath a little more. Thanks, ADV Fil- errr… Sentai Filmworks! errr… Section 9 23! And this is not that bad, though it might leave bad memories for some. With apologies to SHAFT and Ume Aoki. Another contribution to the campaigning in the Megatokyo Anime Grand Prix, where Horo is currently a candidate.